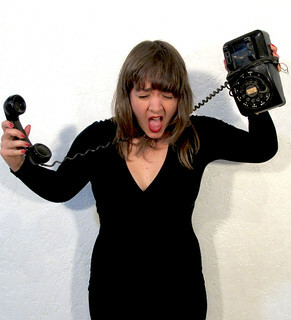 - Performed and collaborated in CaraRose DeFabio's original piece about women in the digital age. - Wrote and performed in this one-act musical about an estranged mother and daughter, the men they love, and the Gods they create in the aftermath of the 1906 earthquake. - Co-directed and conceived this site-specific movement piece with original music and text. - Wrote and performed in this experimental adaptation of Austen™s Pride and Prejudice. Directed by Zack. 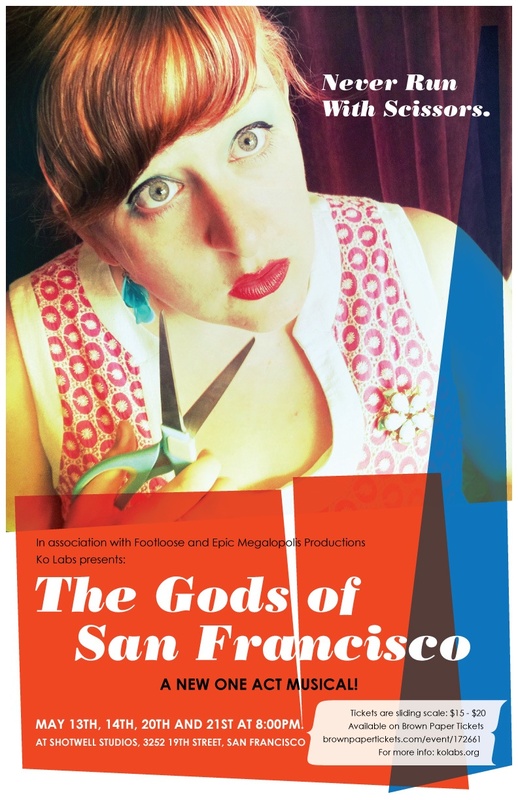 - Produced, wrote, directed, and performed an evening length experimental musical show with theater company Ko Labs during an artist residency at 975 Howard for the 2008 San Francisco Fringe Festival and the 2009 Women on the Way Festival. The San Francisco Fringe Festival awarded a Sold Out Award the show. - Performed as dancer in Erika Chong Shuch™s performance piece about issues of incarceration. - Promoted and co-directed this 30 minute, 50 performer anti-war performance piece. - Conceived, Directed, and Performed evening length performance piece investigating Hurricane Katrina and Burningman festival through the element of water. The piece utilized text, movement, original music, and puppetry. - Wrote, Directed, and Performed 45 min multimedia performance piece tracing combining found video, images, and stories from the 1906 Earthquake with the lives and Gods of a fictional family. - Co-choreographed and performed in this 15 minute semi improvisational Butoh piece investigated notions of eroticism and gender identity in conjunction with live-looper musician. - Choreographed and performed in this five-minute dance which rethinks Oscar Wilde™s Salome. August 2002 Ragesties Edinburgh Festival Fringe, Scotland. - Worked in an ensemble to create performance company, adapt Ragesties, and performed it in the Edinburgh Festival Fringe in Scotland. March- May 2001 CAT Productions Custard Factory in Birmingham, England. - Created production company, Cat Productions, and produced and directed play. - Acted a Regan, an Evil stepsister, in this Pantomime production of Cinderella. - Co-Created experimental pop band with Gabriel Gilder, which performed at various venues. - Worked with children ages 4 10 in one week sessions to write and perform original short plays and dance pieces. Also taught the fundamentals of theater and movement. - Choreographed original dance works and helped children to choreograph their own pieces using techniques of modern and improvisational dance, and wrote and directed 3 short plays for children within 2 week periods with 9 to 25 children ages 7- 16. - Assisted various Professors over four quarters and held weekly sections with 30 students on the class topics. - Graded quizzes and papers, maintained attendance records, and oversaw performances. Taught choral music and theater teacher for bilingual and underprivileged children. Wrote and adapted multicultural short plays for 4th and 5th grade classrooms, with two different host classrooms per year. - Produce an evening of music and prepare music sets and play music with a four-channel mixer. - Worked on a production of The Glass Menagerie alongside the Lighting Designer to help program and perform lighting and video cues for the performance. - Prepare music sets and play music with a four-channel mixer using both records and Cds. - Designed lighting for the show and worked as the board operator in an intimate, local community theater. - Adapted the lighting design for our show from UCSC to a smaller theater in Edinburgh. 2001-2002 - Lighting Design, Alexander Technique, Cicely Barry Vocal Technique - University of Birmingham, England. 2003 Indonesian Theater, Improvisational Dance, Acting Studio II - UCSC. 2005 - 2007 Choreography, Contact Improvisation, Tap, Voice and Music Composition, Acting and Directing, Writing for Performance -Experimental Performance Institute at New College CA. 2006 2007 - Internship - Erika Shuch Performance Project. 2000 - Student Employee Recognition Award Program - $700.00 award for web design work. 2000 - Priscilla Newton Scholarship - Merit based scholarship for promising female actress. - Wrote and adapted short plays for 4th and 5th grade classrooms, with two different host classrooms per year. 2004 - Metro Newspaper Goldie Award Voted #1 Club DJ in Santa Cruz. Ko Labs, founded by Niki Selken, is a Ko-laboratory catalyst for new theater works. Ko Labs an inclusive theater troupe whose core members work with a variety of exceptional local artists to foster the development of original performances. We work as theatrical archeologists, investigating, researching, and hopefully, reconstructing Americaâ€™s broken body: political body, physical landscape, and social form. We work as an ensemble to excavate incidents from history and recreate landscapes for an audience out of small remnants: a grain of sand, a beaker of water, a newspaper article. Ko Labs believes It is the job of interdisciplinary theater, theater of the artifact, theater of the dreams to recreate, through any means possible a new history, a shared history for the local community and hopefully for America, as divided and disconnected as it has become. For more info about Ko Labs, check out the website here. I have some older pictures of work on my old website.